■Coding: MadkaT, Risk, pkwp, and KENp. ■Graphic: MadkaT, Risk, pkwp, and KENp. 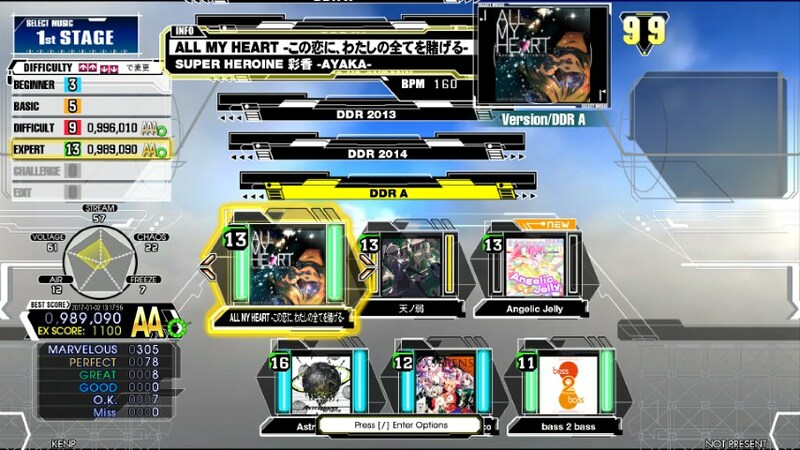 ■Special Thanks to theme 'default extended', Risk, pkwp for theme 'DDR 2014', MadkaT for theme DDR A of his own version. ■If anyone would like to contribute any idea, code or graphic, audio data, please let me know. ■Use this theme in home and personal only. ■No commercial usage allowed. Any commercial behavior with this theme will destroy this tread if I found. ■My Groove Radar: Valid in 'MUSIC PLAY' mode. 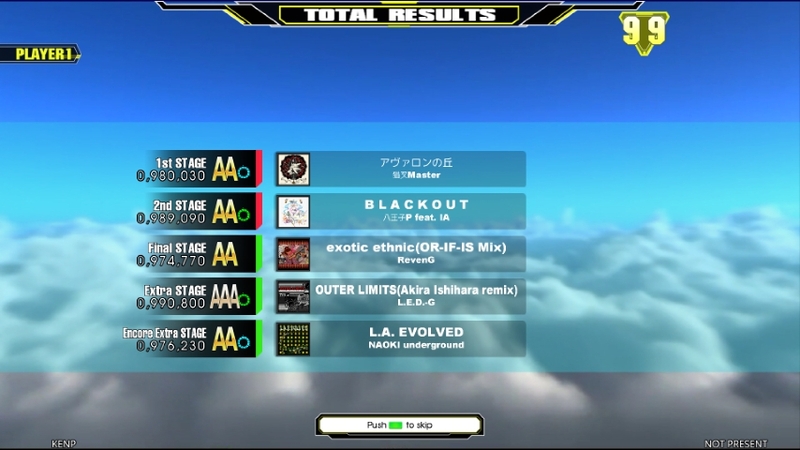 ■Achievement: Total complete rate for all songs and courses. 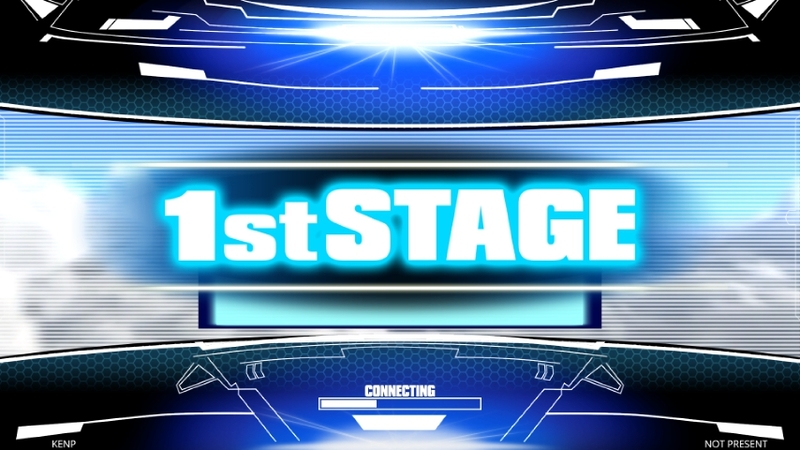 ■Extra Stage is forced to 4 live. 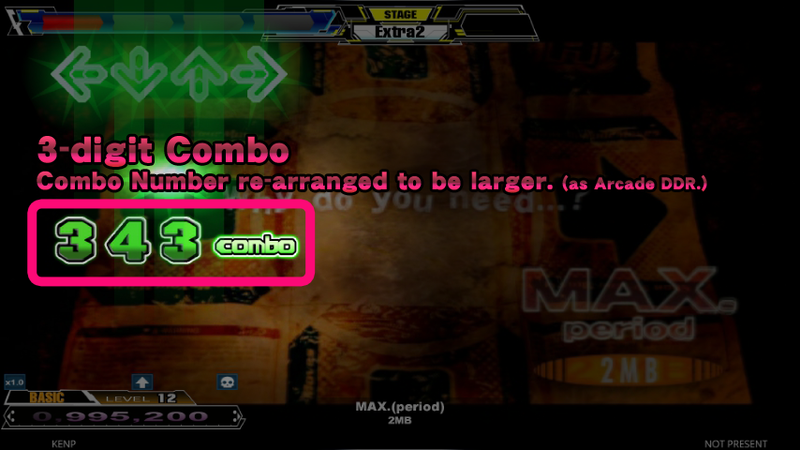 ■Encore Extra Stage is forced to 1 life. 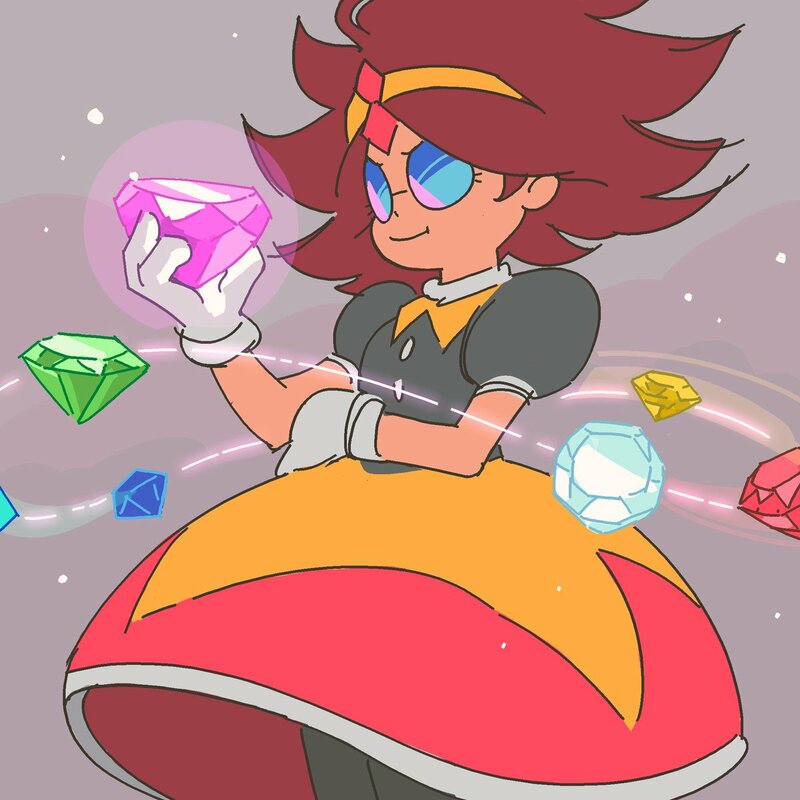 ■Challenge Mode: 8 lives if difficulty is BASIC or DIFFICULT, 4 lives if EXPERT. 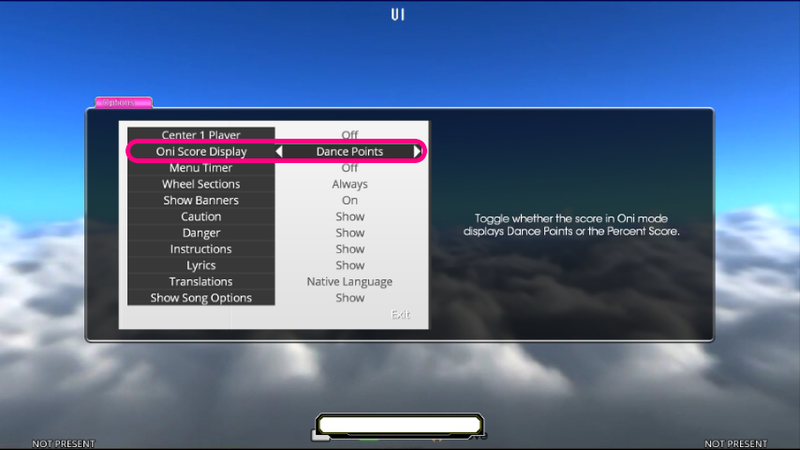 ■To enter option please press "Select" key ( usually "/" ) when in the select music screen. 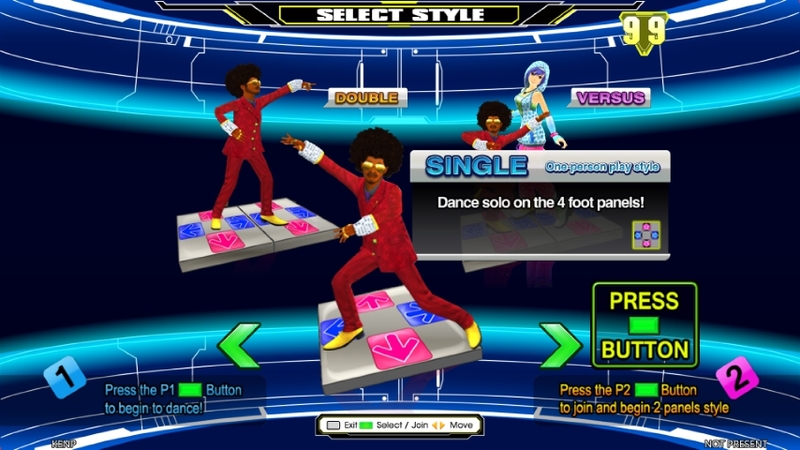 ■To change music wheel sort, press "Left + Right". 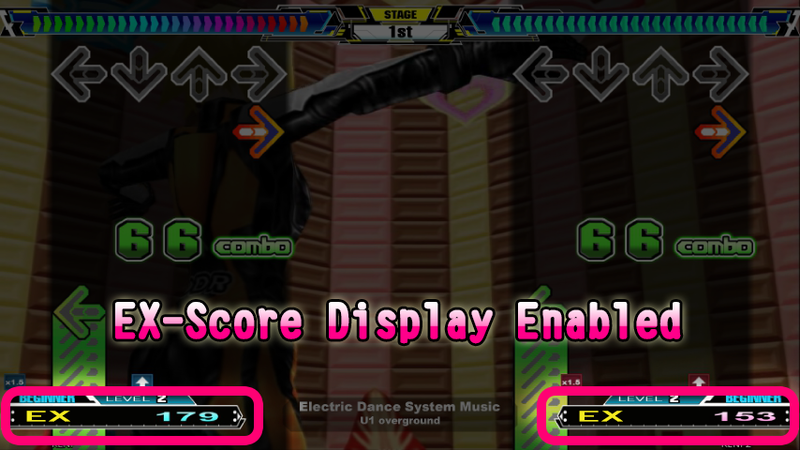 ■In Select Music screen, press "←+↑" to show detail score panel, press "↓+←" to show score history panel. Press "→+↓" to dismiss the panel. 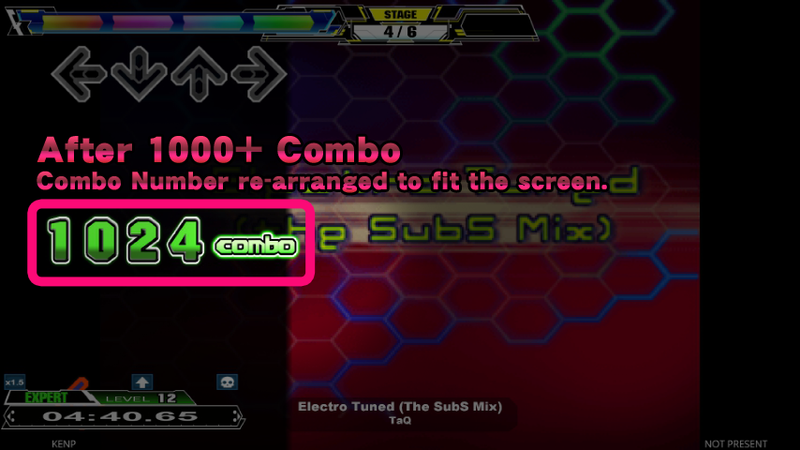 ■If the full combo is not obtained with highest score, it will also displayed but with a darker color in the records of music select screen. 1. 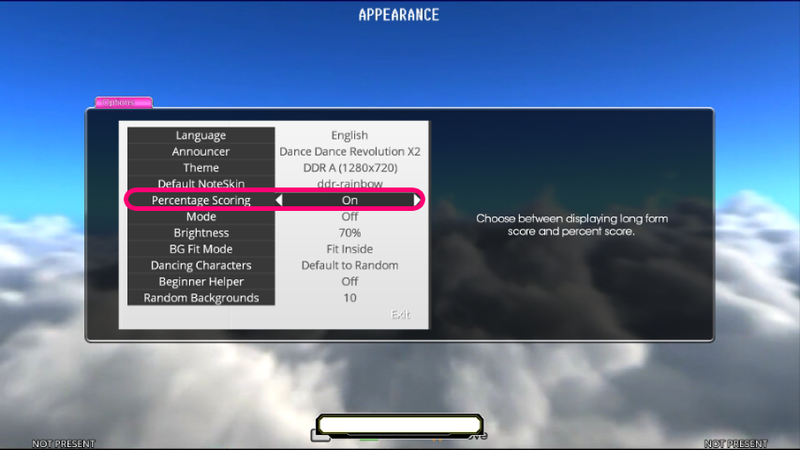 In Screen Evaluation, the theme can now memorize your tab key each time you change it, and will show the last choice by default. 2. You can add your own extended genre by adding new folder named 'Genres' into the "Themes" folder. 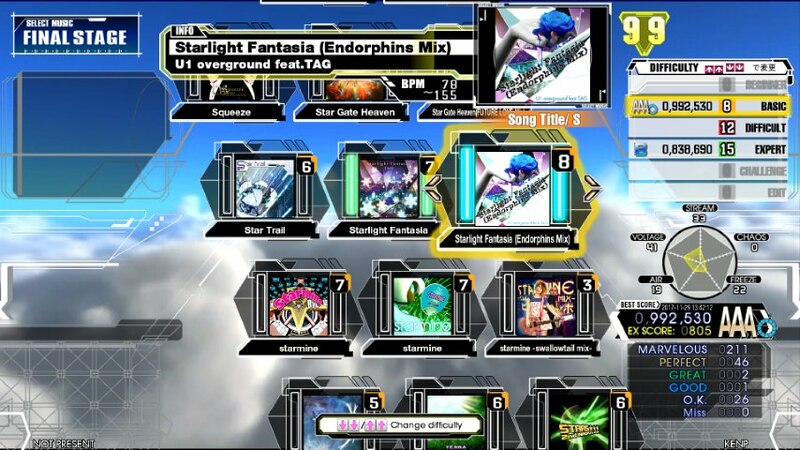 Put some jackets named as "genre jacket beatmania.png", "genre jacket BeatStream.png",... etc in. The name of the jacket must be "genre jacket"+SPACE+the name of genre. 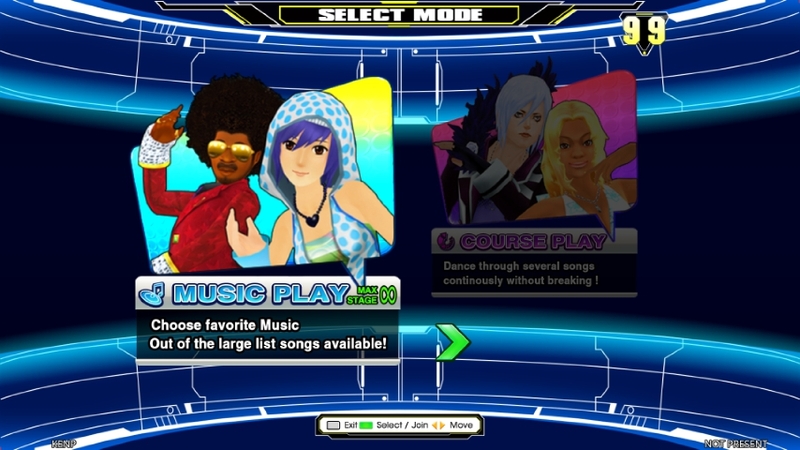 For example, a genre jacket named 'genre jacket BeatStream.png' or 'genre jacket BeatStream.jpg' implies a genre named 'BeatStream' . 2.Add Extended Genre to extra document. 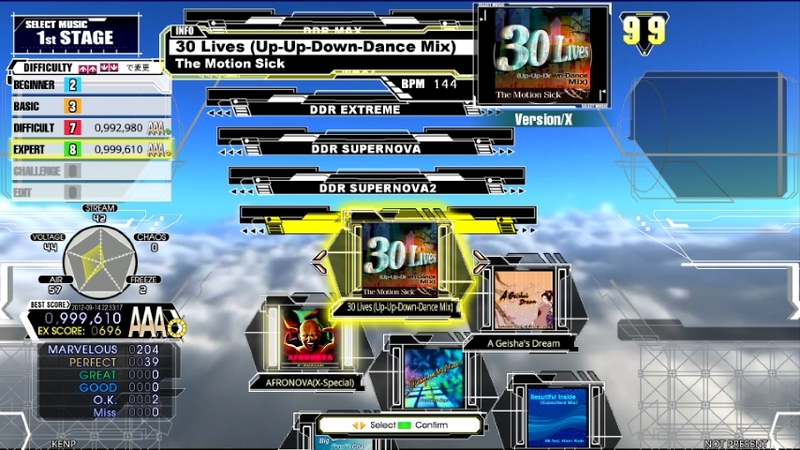 3.Correct Stage Information decorations to 2-step animation. 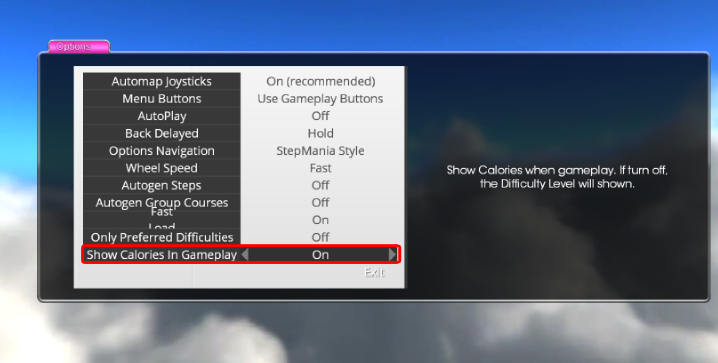 Set On to show Calories, Off to show Difficulty Level. 1. Replace Screen DATA SAVE music. 2. 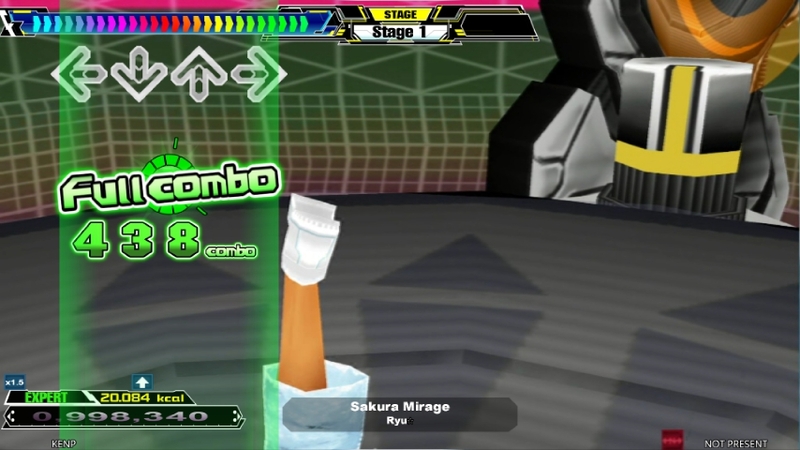 Rewind Combo number graphics. 3. 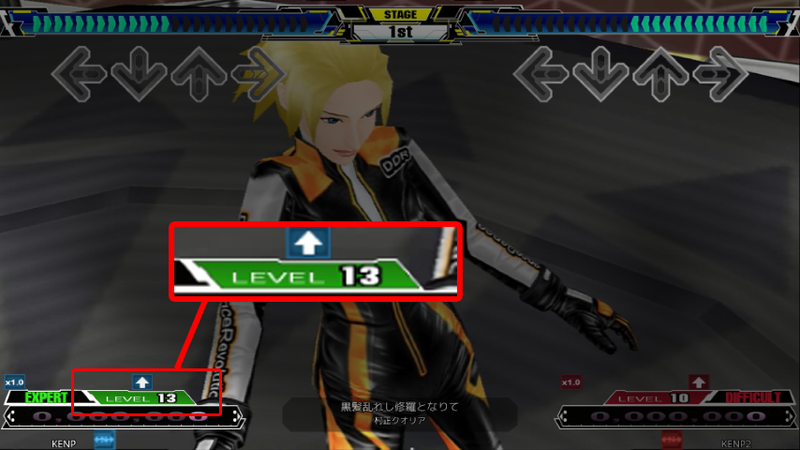 Combo Number in Gameplay re-arranged. 4. 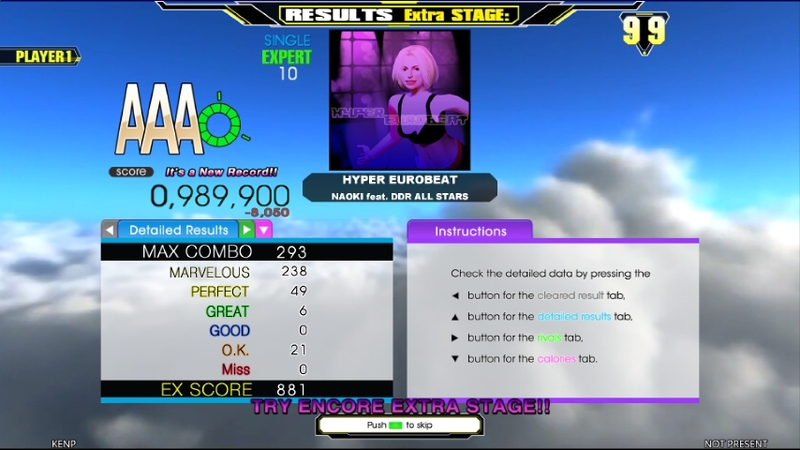 Added Music wheel difficulty mark. 5. 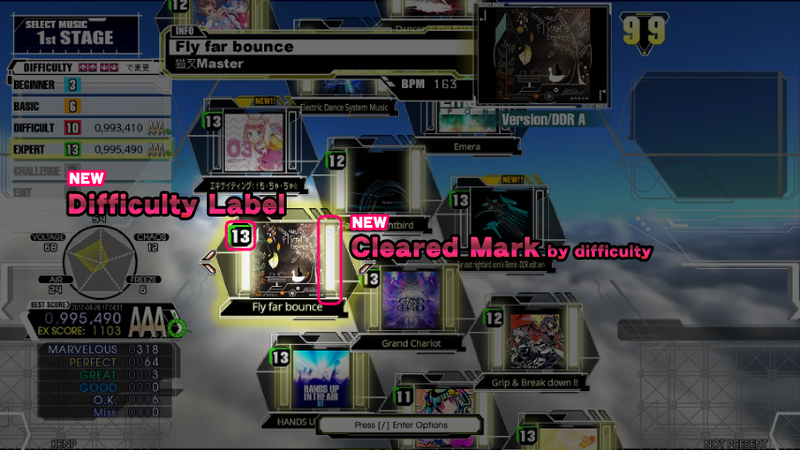 Added Music wheel cleared mark (change by difficulty). 1. 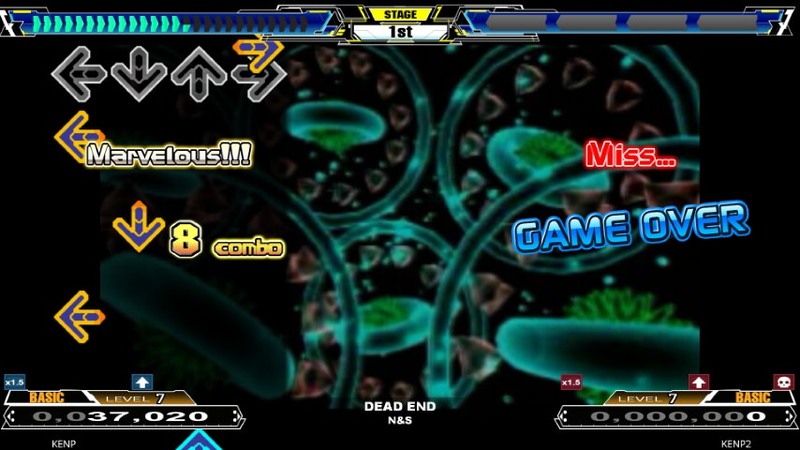 EX-Score Display on Screen Gameplay. 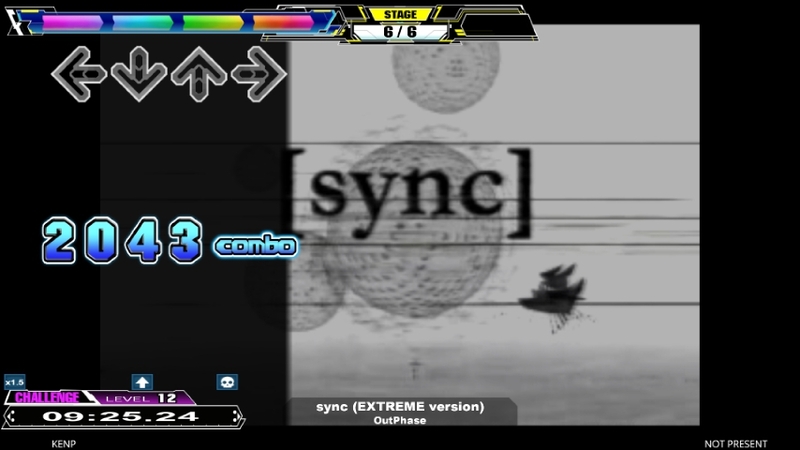 to Display EX-Score when Gameplay. 1. EX-Score Display and correction. 2. Hidden+ and Sudden+ Supported. Select (usally"/") short press: cover on/off switch. 3. Risky option will now skipped to next stage if failed. 4. Switching profiles in LOG IN screen now works more smoothly. 5. Some Fonts (Special thanks to ads5881473) and Graphics. 6. 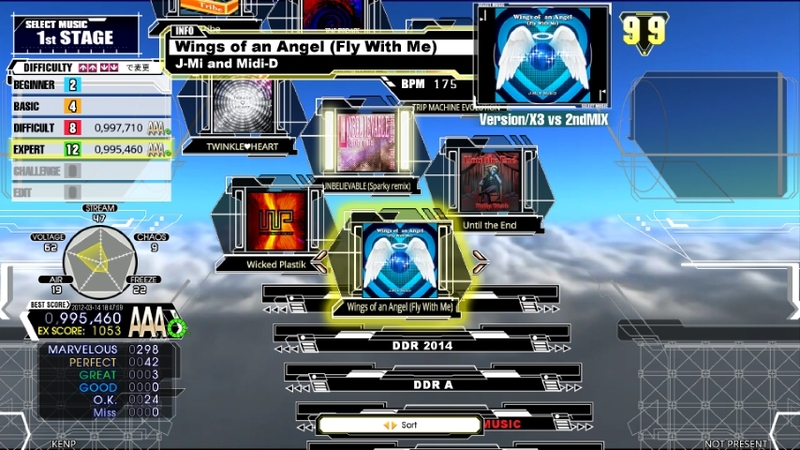 Music wheel now have almost same fashion with AC version. 7. 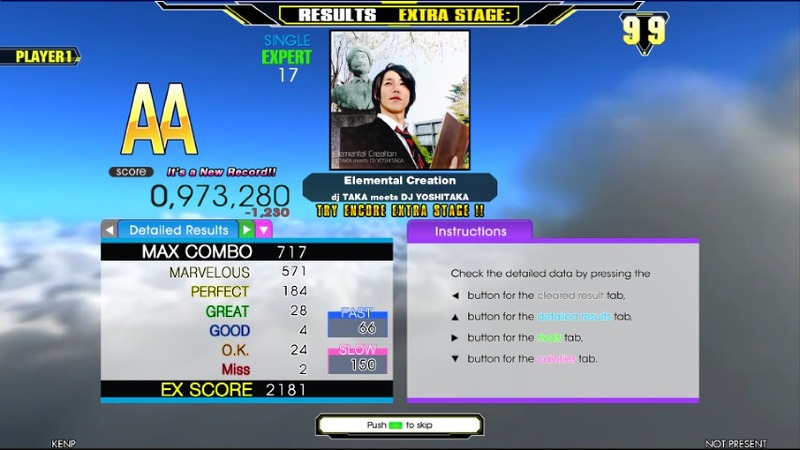 Cleared mark on music wheel now works (almost) same with AC version. 8. 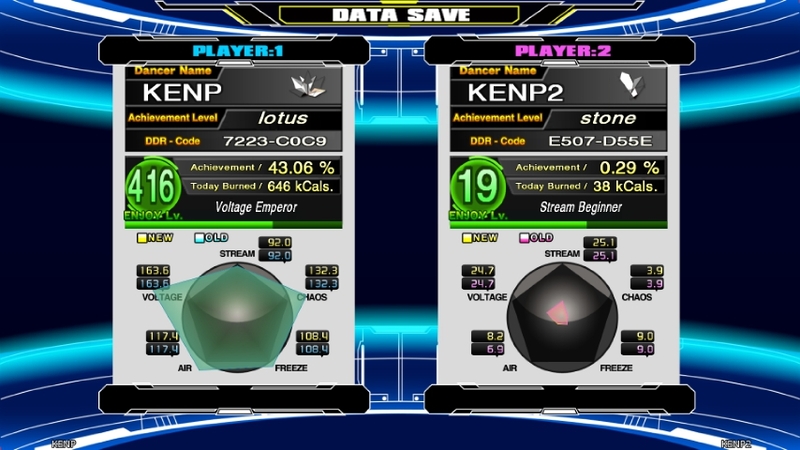 Fast/Slow judgement in Gameplay and Result screen and can be switch on/off in options. 9. 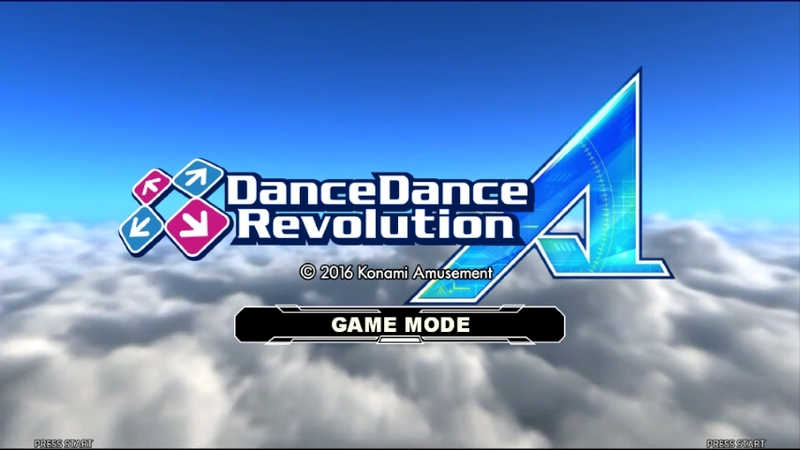 For some reason I kept course mode there because I think it is more complete with it, even if it is not 100% accurate with AC version. For other group names, you can use any name you like, but don't forget to add a jacket into that group. Insert a jacket file for each song, it must be squared. 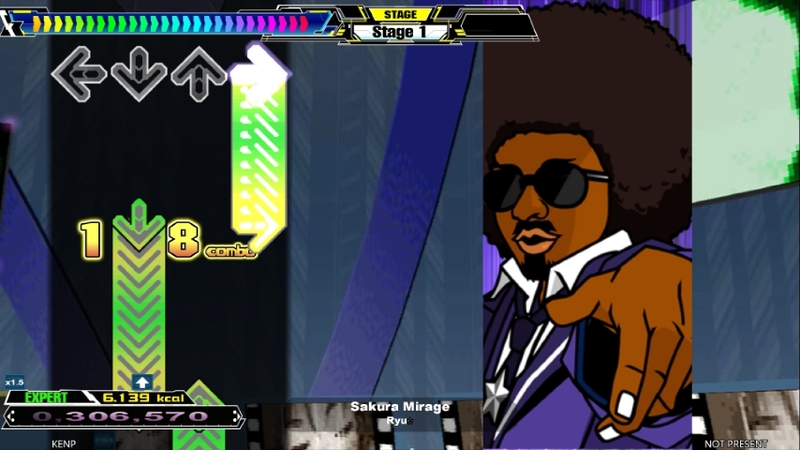 If no jacket found, it will find song banner and then song background instead. 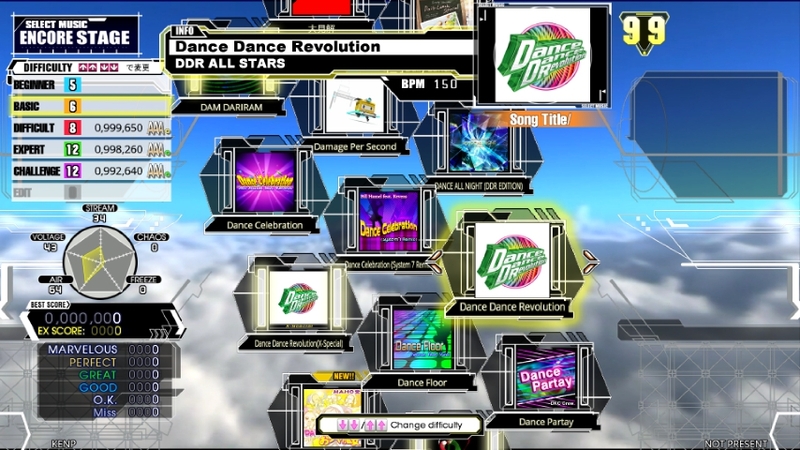 Place the folder "Random" you download from DDR 2014 thread into "Themes" folder to get the random movie effect if no bg movie set in the song .sm or .ssc file. 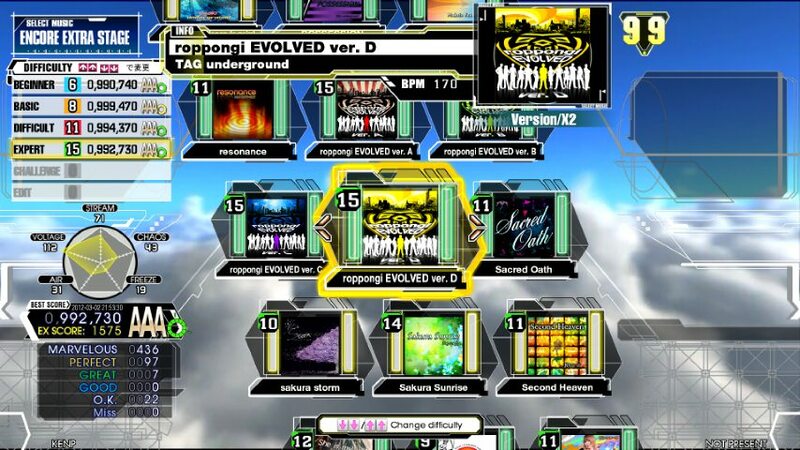 Due to the coding of music wheel arrangement, some music wheel overlap happened. Ignore this phenomenon if you do enjoy this theme, thank you! ■Some screenshots are taken during developing. Omg I want this theme. If you can read this, you can read! this theme is sooooooo cooooool!!! is it talking about these files? i thought you put them in bganimations -> screengameplay underlay? - If you have downloaded Addons.zip, only copy the "Random" folder into ScreenGameplay underlay. ok, i seem to have got them to show up now, just by adding the screengameplayunderlay folder as is to the theme, but now music videos don't show up. they get replaced by dancer videos. 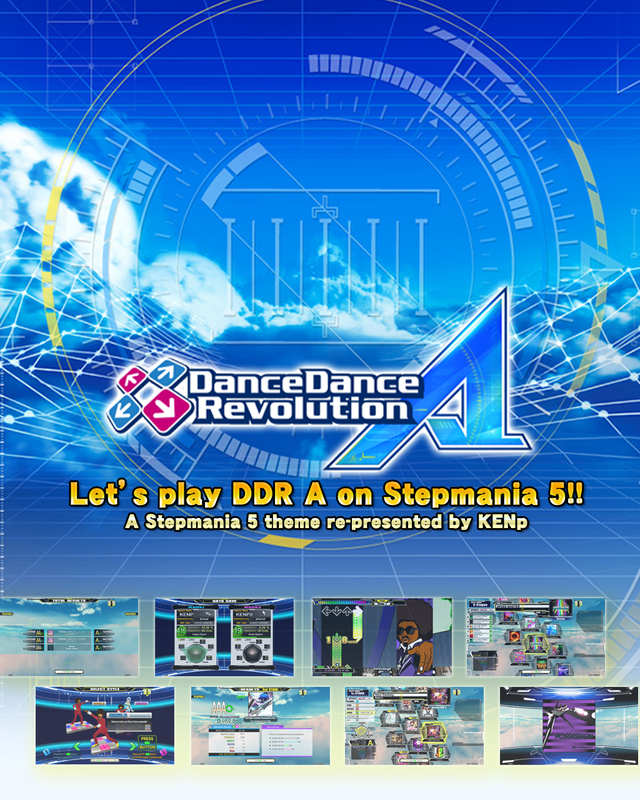 can i play this on 5.0.12 stepmania? or only in 5.0.9? This theme is really great and looks really nice! 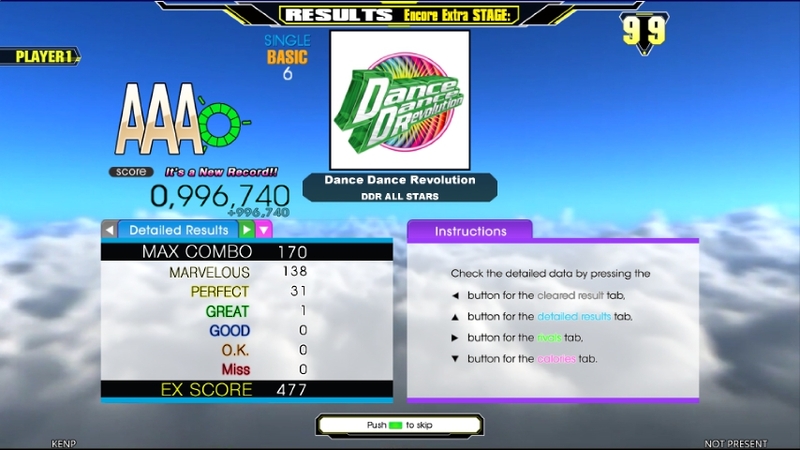 My only kinda-critique is that having the little difficulty level above the song jacket like in the arcade would be really cool, but I'm not sure how hard that would be to implement. Also the clear lamp is there in the screenshots but doesn't appear in-game, I'm not sure if that was intentional? 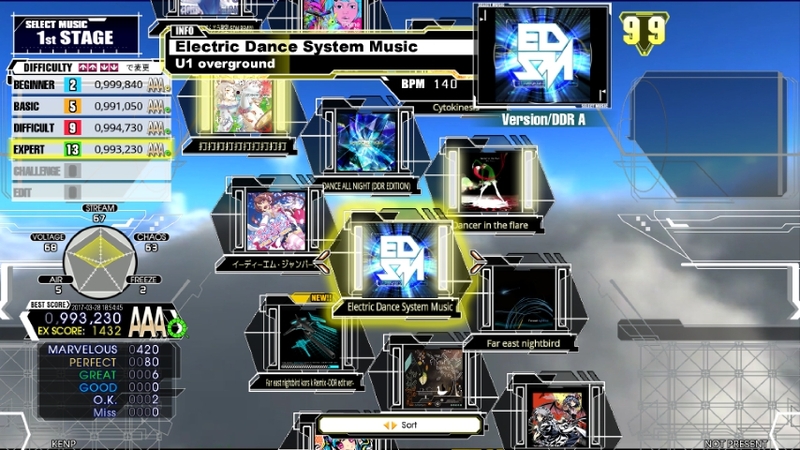 if STitle == "宇宙(ソラ)への片道切符" or STitle == "Electric Dance System Music" or STitle == "TECH-NOID" or STitle == "Sora e no katamichi kippu" or STitle == "Cytokinesis" or STitle == "S!ck" or STitle == "Illegal Function Call" or STitle == "STERLING SILVER" or STitle == "STERLING SILVER (U1 overground mix)" or STitle == "Far east nightbird" or STitle == "Far east nightbird kors k Remix -DDR edit ver-" or STitle == "Angelic Jelly" or STitle == "Grand Chariot" or STitle == "Sephirot" or STitle == "StrayedCatz" or STitle == "ZEPHYRANTHES" or STitle == "Triple Counter" or STitle == "Renai kansoku" or STitle == "恋愛観測" or STitle == "Koisuru uchuu sensou!!" or STitle == "Koisuru☆uchuu sensou!!" or STitle == "恋する☆宇宙戦争っ!!" 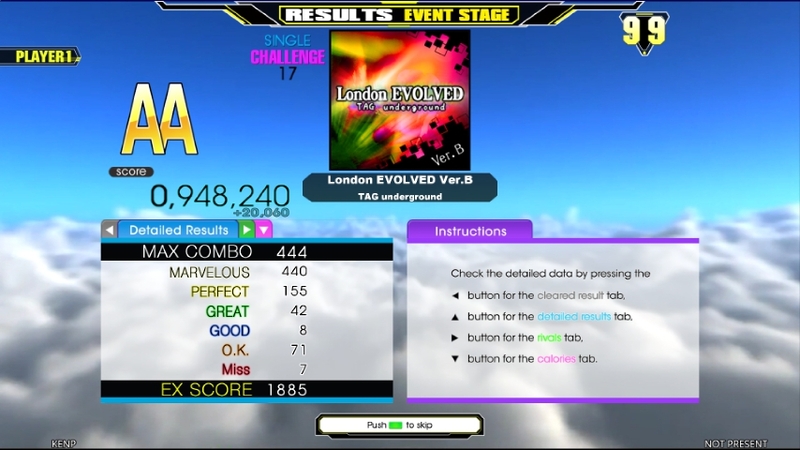 i cant even see my best score below the groove radar..is there any button to press to show it? Hit up and left simultaneously. To see all scores, hit down and left. To close it, hit down and right.